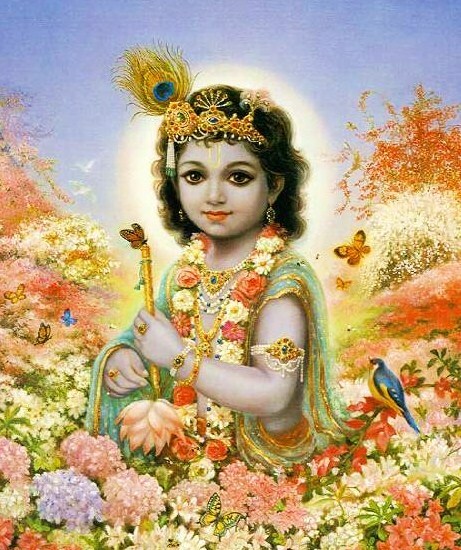 Krishna – An Avatar born to demonstrate the depth of Divine Love to the world. 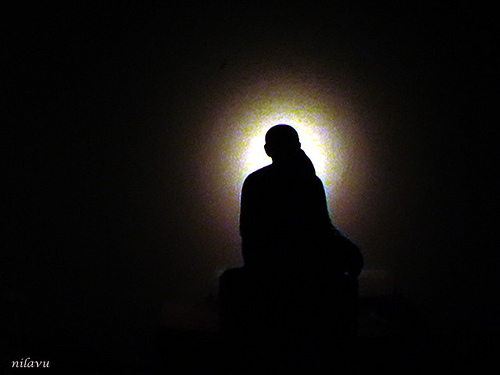 An avatar born to preserve the dharma of eternal love. An avatar born to spread the fragrance of unconditional love. What an avatar!!! When man crosses the boundaries of duality, there is nothing but unity, bliss and divine love. The essence of bliss is love. Unconditional love. Lord Krishna represented that state of beingness, Being in Love with everything around oneself, because everything around is essentially oneself. 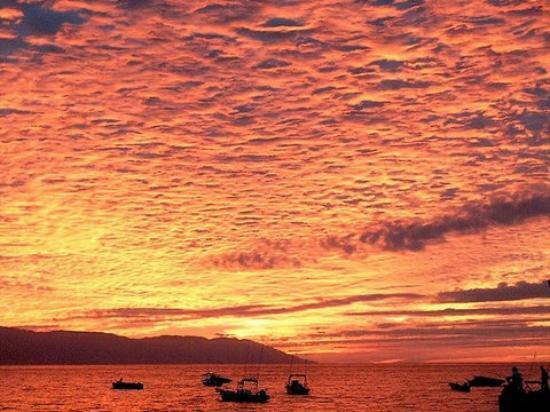 When overflowing emotions turn into devotion, bliss happens. 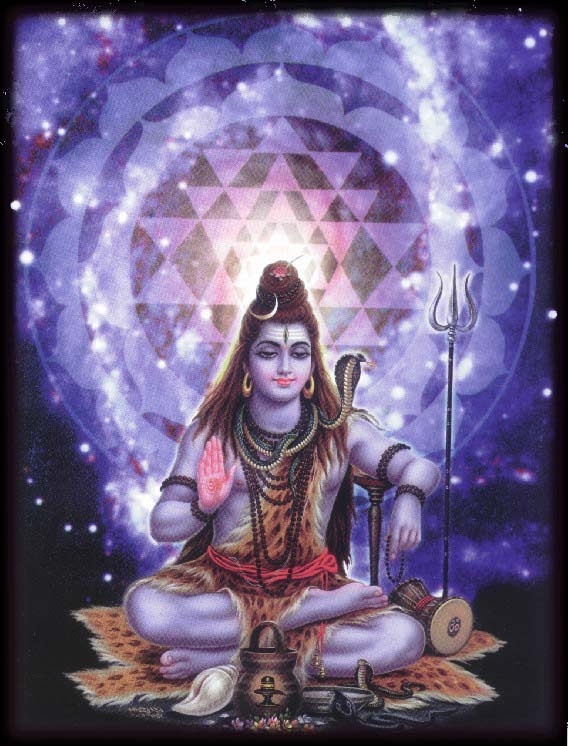 The devotee and the Lord become one. There is no separation anymore. There is no God without his devotee and there is no devotee without the God that he worships. It is a relative existence. When the thin line of duality melts in devotion, eternal romance takes place. The true Ras Leela happens here. It is romance between the supreme consciousness and the limited consciousness aspiring to melt into the supreme consciousness. 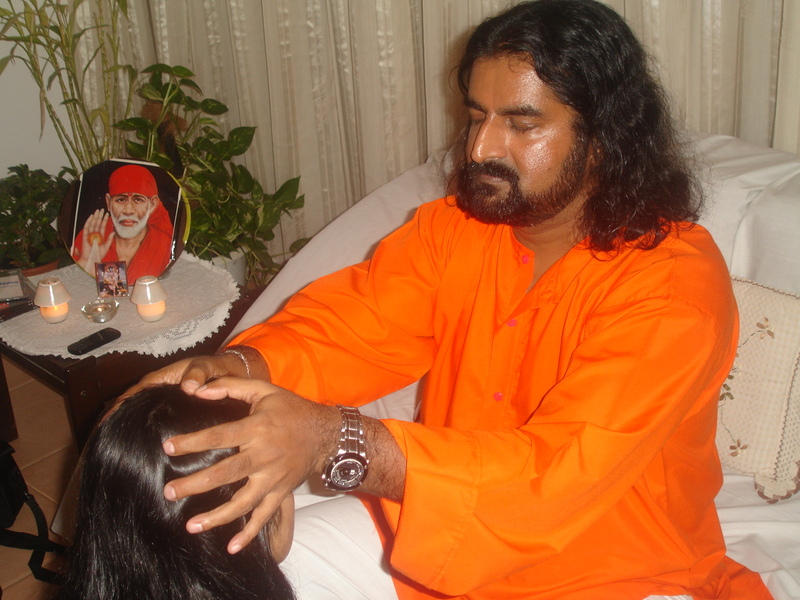 Poonthanam – A Devotee Par Excellence.. In the small state of Kerala, located at the southern tip of India, between 1547-1640AD , lived a great Krishna devotee. His family name was Poonthanam. People called him by his family name. He lost his only child in an accident and this intense sorrow brought him into devotion towards the supreme – Lord Krishna as Guruvayoorappan. When the physical world around us falls apart through death and destruction, we spontaneously gravitate towards God. Krishna transformed his sorrow into Bhakti. He used to say: “When the eternal Lord, “my little Krishna”, is always playing in my mind, why do I need other children?” Poonthanam was a simple man, brahmin by birth (caste), a pure vegetarian and a humble, poor man. He used to spend his time chanting the manthras of Krishna at the Guruvayoor Temple, dissolving in Krishna Consciousness. 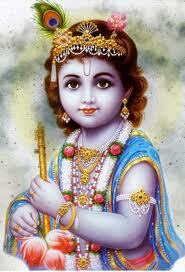 The deity of Guruvayoor temple is Lord Krishna as of 8 years of age, in other words, it is “Little Krishna” indeed. The Amazingly Beautiful Lord of Guruvayoor! Guru (Brihaspati) and Vayu (Air) installed the idol of Lord Krishna, says the tradition. 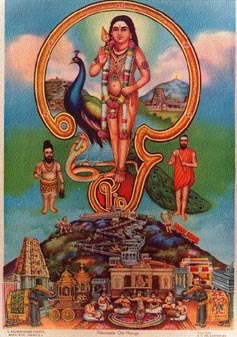 Since Guru and Vayu together installed the idol, the deity is called Guruvayoorappan. That means, the Lord of the land of Guru and Vayu. This place is also called “Bhooloka Vaikunta” or the Vaikunta (Lord Vishnu’s abode) of earth. It is also said that this is the same idol that Vasudeva, Lord Krishna’s father used to worship. 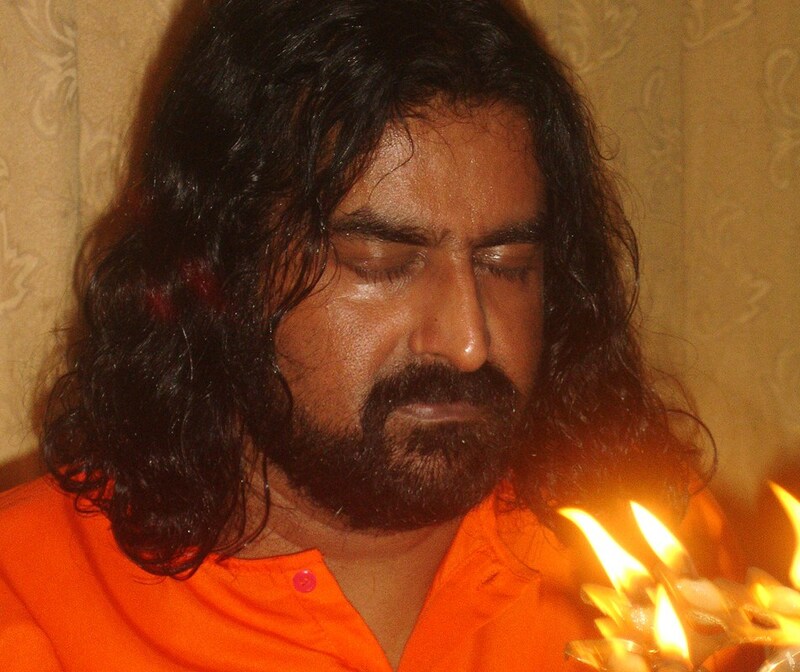 Coming back to our story, Poonthanam’s bhakti (devotion) was silent, but highly potent. Since he was quite unassuming at all times, wearing simple clothes and keeping to himself, people generally ignored him. Out of overflowing love for the Lord, he wrote in his native Malayalam language verses about the shallowness of our mundane existence, as well as praising the Lord. 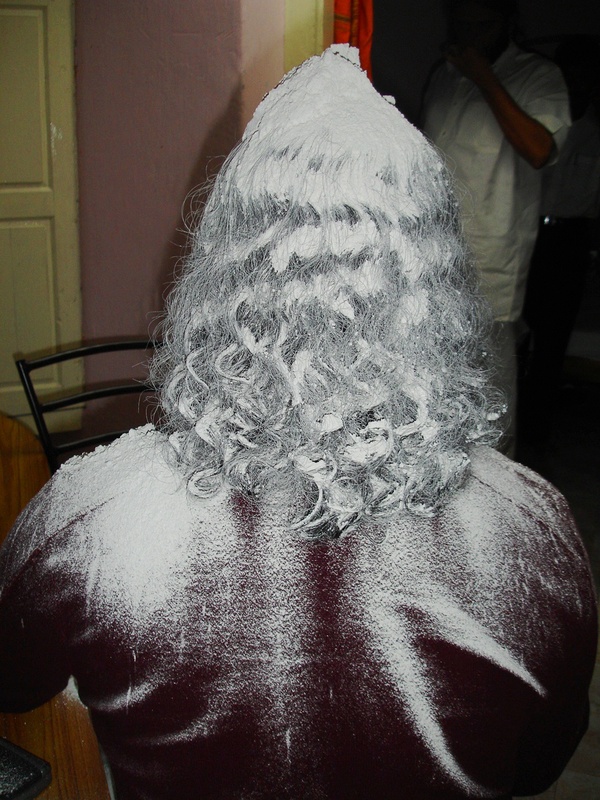 His work is called “Njanappana”. 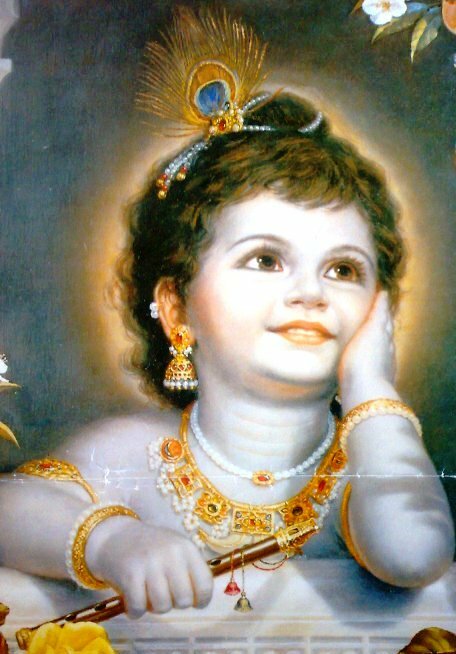 There was another great Krishna Bhakta who used to visit the temple often. His name was Melpathoor Narayana Bhattathiri. He was a great scholar. 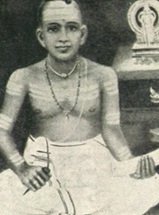 Poonthanam approached the scholarly Bhattathiri to correct the mistakes of his simple work. Bhattathiri, being a great Sanskrit scholar, looked down upon the simple brahmin’s colloquial work and discarded it unceremoniously. The story goes that soon Bhattathiri was hit by paralysis and he prayed to Lord Krishna to cure him. Then he heard a voice from nowhere telling him: “I Love Poonthanam’s simple and pure Bhakti much more than your knowledge.” Bhattahiri repented, immediately called for Poonthanam, took his work in his own hands and corrected it the best he could. He thus got cured of the disease. 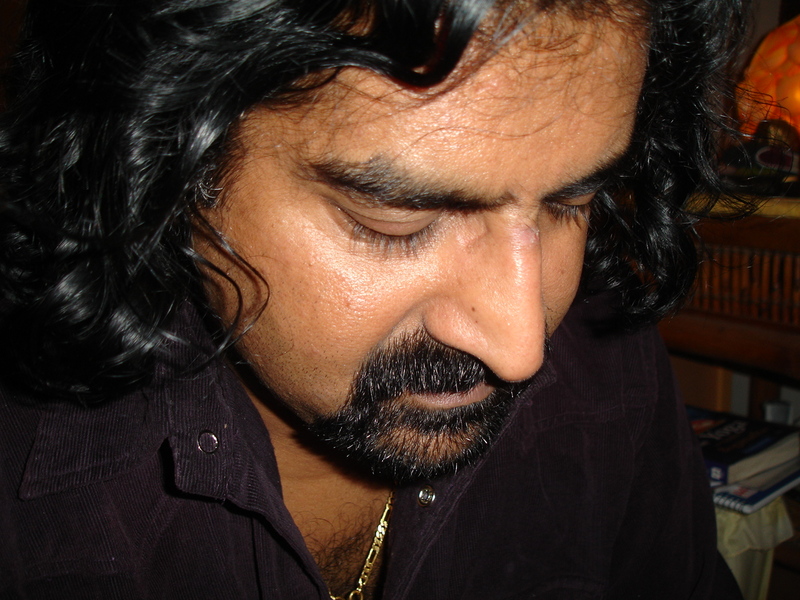 Narayana Bhattathiri author of Narayaneeyam. Bhakti (Devotion)Always is holier than the Knowledge and associated ego. Another version of the same story says that, the night after he rejected the work of Poonthanam, while he sat to read out his own Narayaneeyam verses on Lord Guruvayoorappan, a little boy appeared at his house. A beautiful boy. 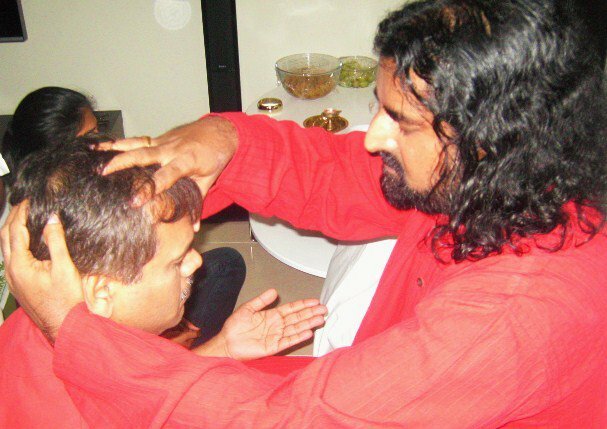 Bhattathiri allowed him to sit next to him and started chanting. In the first stanza itself, there were mistakes. As he proceeded to the second and third, the little boy pointed out more mistakes. Bhattathiri realized that this is no ordinary boy and it must be Lord Guruvayoorappan. Immediately, he got up and prostrated at the feet of the boy. When he got up, there was none around. The little boy had disappeared!!! At that point in time, he heard the boy’s voice: “I like Poonthanam’s purity and devotion much more than your knowledge and associated ego.” Bhattathiri repented and immediately organised himself to correct the work of Poonthanam – which is called Njanappana or The Song of Wisdom. 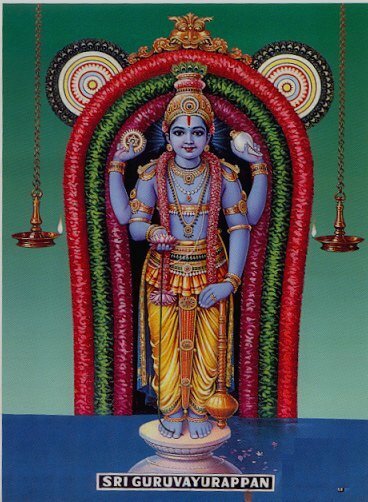 Poonthanam wished to go to Vaikunth (The abode of Lord Vishnu) in his physical body, at the time of his death. 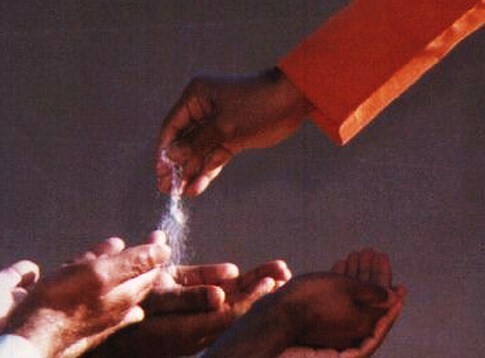 Krishna granted him that wish. Then he requested Lord Krishna that he should also be permitted to take those who are close to him, to accompany him to the abode of Lord Vishnu. Every Guru and God melts at the requests of any true and sincere devotee. Krishna being the Guru of the Universe, could not deny the wish of a sincere and innocent bhakta. He agreed. 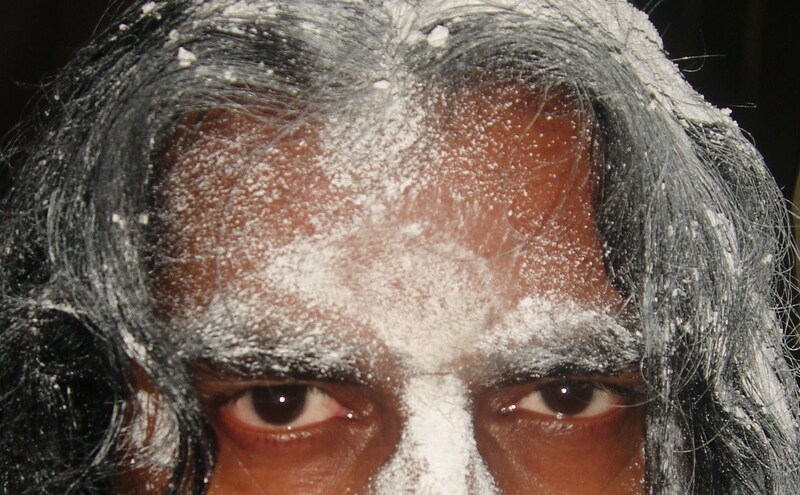 Poonthanam knew the exact time of his demise. 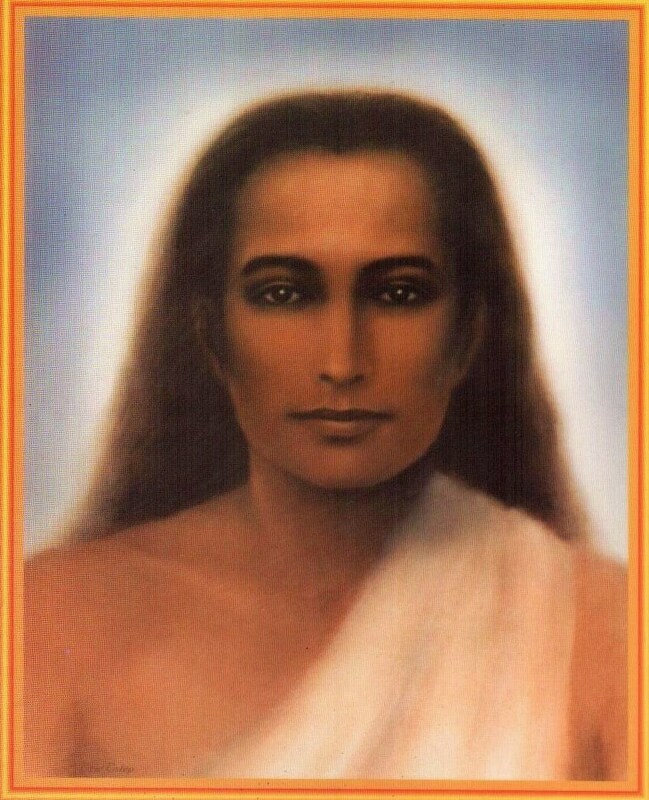 He told his near and dear about the time of his death and informed them that if any of them want to join him in his final journey to Vaikunth, to live at the feet of the Supreme Lord and enjoy his bliss (Vishnu Consciousness) and blessing for ever, he could indeed arrange for their journey in their physical body too. Vaikunt, The Abode of Lord Vishnu.. Skeptical, intellectual, logical, egoistic and analytical as people are, everybody started mocking him. They said that he has gone insane. Some laughed at him as if he was joking about such a serious matter. One man asked him: “My brother, first of all, gross body belongs to the earth. At the time of death, subtle body leaves the gross and travels on its own. We burn or bury the gross and thus offer it back to earth. Only subtle body can travel upwards as it is not bound by gravitation. Moreover, in order to enter the realms of Lord Vishnu, which is even more subtler than the subtlety of our soul, even our soul is incapacitated to enter; or even our soul needs further purification to enter Vishnu loka. And you are saying that you will go there in your gross body!!! 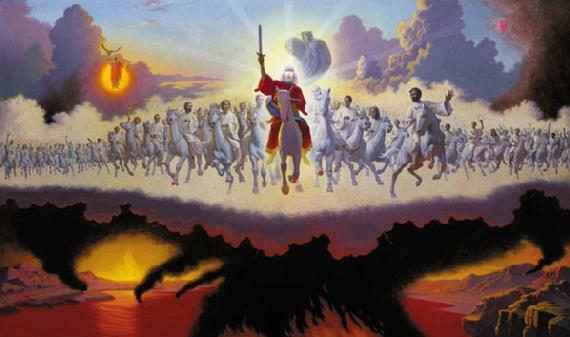 Are you crazy?” Poonthanam said “My brother, I do not have knowledge about these matters such as subtlety of soul etc. I know only one thing. 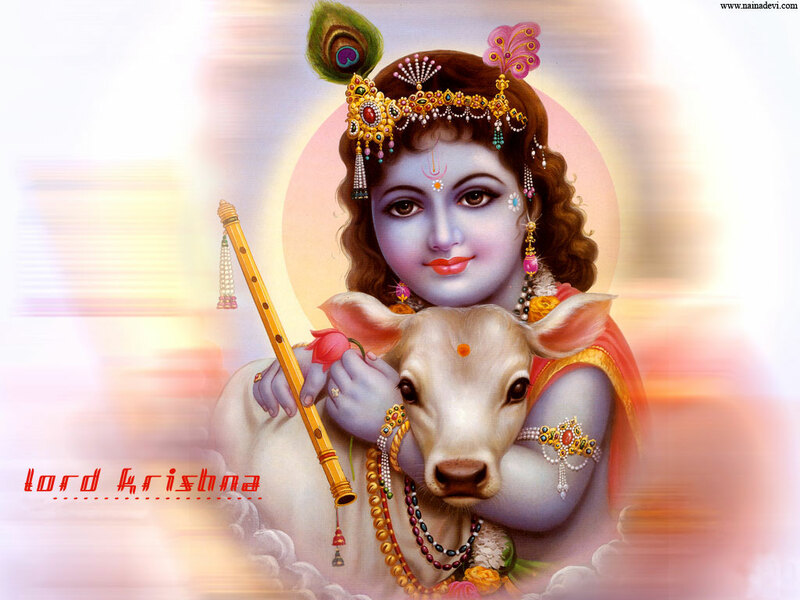 I love Krishna. I trust Krishna. I have full faith in Krishna and he promised to take me with my body to His abode. And I am going. You are welcome too.” Everyone thought that he has indeed gone insane. Nobody took him seriously except his old house maid. She believed that Poonthanam is sane and is talking truth. 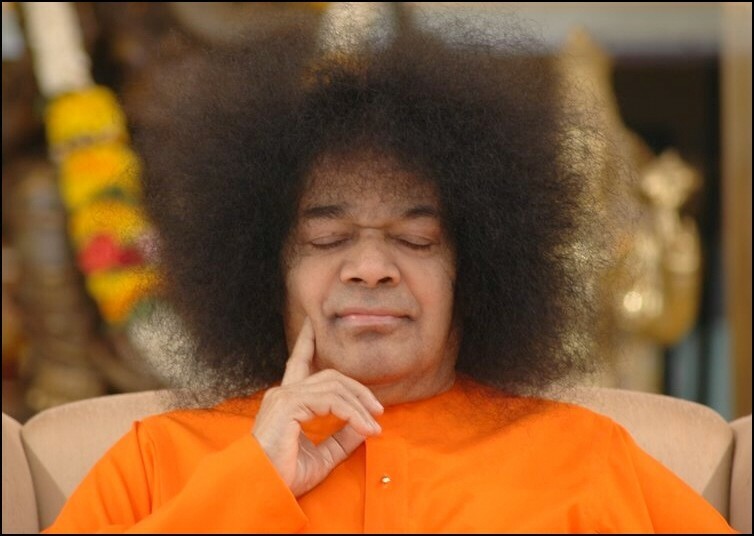 She asked him ” Swami, will you take me?” Innocent Poonthanam said spontaneously: “Why not, all are welcome.” At the appointed time, as previously announced by Poonthanam, both himself and his old maid disappeared from where they were standing. Krishna kept his promise to His bhakta. Poonthanam carved a golden message in history, that nothing is impossible for a true devotee and also thus proved the depth of his devotion. NOTHING IS IMPOSSIBLE for a true BHAKTA (Devotee). The Lord makes sure that a true devotee’s minutest wish is carefully fulfilled!!! All Beings big and small are part of the Lord. When we were born, the distance between us and our self was very short. We were very close to our soul. As we grew older, we traveled through the paths of karma far and wide. We even lost our way home or got caught up in the world of sensory pleasures outside. We even picked up habits and addictions which we cannot live without, and thus bound ourselves into immobility too! We forgot or ignored our real home, as we were too fascinated with the world external. We forgot our mother, our soul, waiting at home for us. We even forgot to recognize her existence, far away. But, all this while, we possessed the power to get back home in an instant, if we wanted to. But, with the entertainment outside, the winning and losing outside, the taste of terrestrial romance kept us occupied in the world of illusions and kept us busy. When we come back home and connect to our own mother, our own Guru – our very soul, we see that we are one with the soul that makes the Lord too. We are one with the consciousness that is Krishna. Holding the safe hand of the mother, our soul, we could dissolve into the consciousness of Krishna and be one with that supreme consciousness always. How can words explain the Love of the Lord? I remember a story in this regard. Once a few Yadavas felt a deep urge to see Krishna who was living at the other side of the river Yamuna. They prepared tasty and colorful sweets out of cow’s milk which Krishna loved. They packed everything and walked towards the river Yamuna to cross over to see Krishna. When they reached the bank of the river, their hearts sank as they found that the river was quite swollen and overflowing. Yamuna was flooding. There was no boatman willing to take them to the other side. They were terribly disappointed. They assembled under a tree and discussed their next action. They all decided to go back home as there was no other option to cross the river. There was nothing else they could possibly do, with the current state of Yamuna, as the flood could possibly continue for more days. 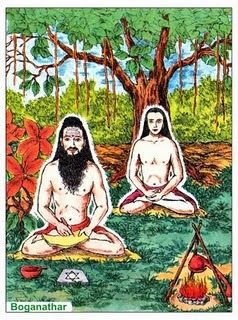 As they took a few steps, they saw a saint sitting and meditating under a big banyan tree. They decided to pay respects to the saint. They silently approached the saint, so as not to disturb his penance and gently sat in front of him, waiting for him to open his eyes. About an hour later, the sage opened his eyes. It was Sage Vyasa. 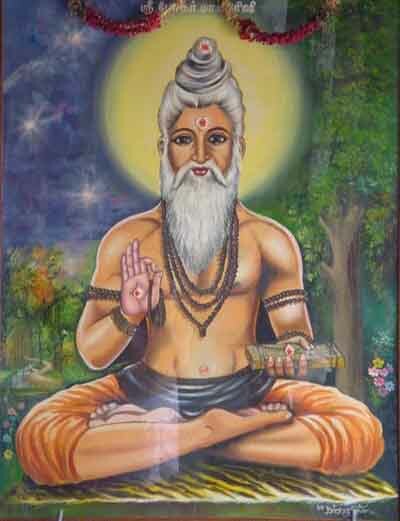 Vyasa looked at the people assembled in front of him and asked why they have come there. They explained their plan and their predicament. Vyasa asked “What is in this big bag that you are carrying?” They explained that these are sweets that Krishna loved. He told them to open it and show the sweets to him. When they showed him, he started eating them. The Yadava travelers could not object to it, because they knew that he is a powerful saint and they did not want to upset him. Finally, Vyasa, who seemed to be very hungry, consumed half of what they had brought for Krishna. Vyasa said, “I will help you to cross the river. Pack the balance and give it to Krishna.” Yadavas obeyed the saint. Vyasa walked with them until the bank of the river and shouted: “If I have not eaten anything, let the river part.” Immediately the river parted and the travelers crossed to the other side. They were quite amazed with this miracle. 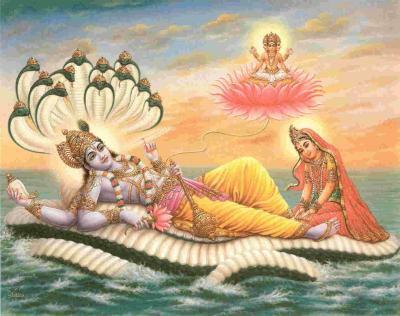 A few minutes after reaching the other shore of Yamuna, they saw Krishna resting in a garden chair. They approached him and exchanged greetings. Then they apologetically offered the remaining part of the sweets that Vyasa had consumed, to Krishna. Krishna said “I cannot eat even one piece of it!!. Just now, I filled my stomach with the same stuff.” Then the Yadavas realized the meaning of what Vyasa had uttered. “If “I” have not eaten anything, let the river part”. 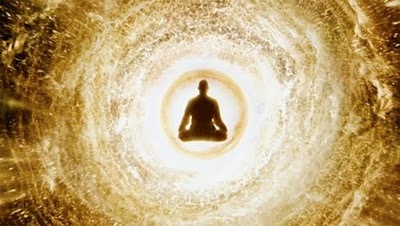 “I” is the egocentric entity. Vyasa is one with Krishna in consciousness. He did not take ownership of anything. He did not have “I” ness. So, when he ate, it was actually Krishna who was consuming, as they were one consciousness. 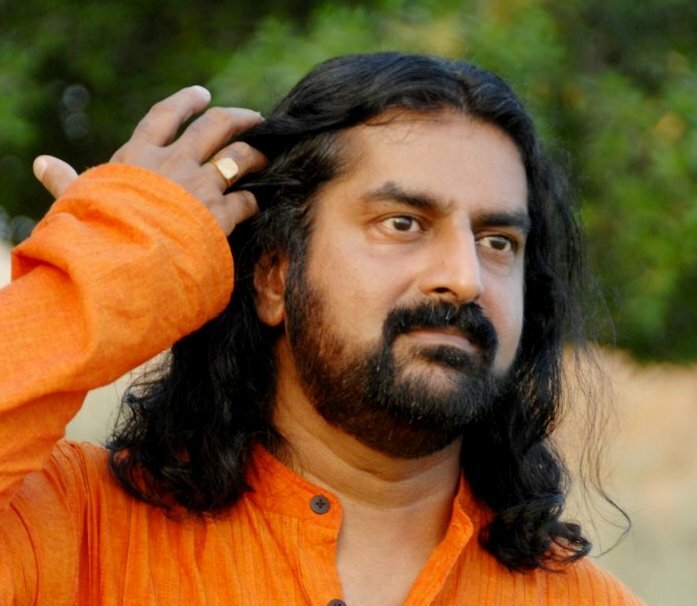 The whole epic Mahabharatha is Vyasa’s work. When our consciousness merges, there is no duality in existence. There is only a pure and Divine Unity. The Yadavas realized that Vyasa positioned himself under the tree just to aid them, who are sincere devotees of Krishna, to reach Krishna. Everything was part of the Divine Leela!!! Devotion is the highest of romance. A true devotee’s unconditional romance is equal to the highest cosmic romance. It has no comparison to the expectation-based terrestrial romance. Faith is the rope of steel that holds a devotee to the Lord. It is unshakable. Divine Romance is unshakable. If we can cross over from terrestrial romance to divine romance, our whole world will be filled with the sweet fragrance of pure love. 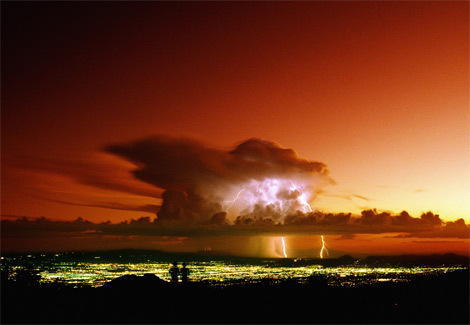 We will not be bound or dependent on uncertain human relationships, which are always conditional and emotion-based. When we cross from this realm of emotions into the realm of supreme devotion, we will be purpose-bound and not expectation-bound. Romance is universal. All saints are eternal romantics. 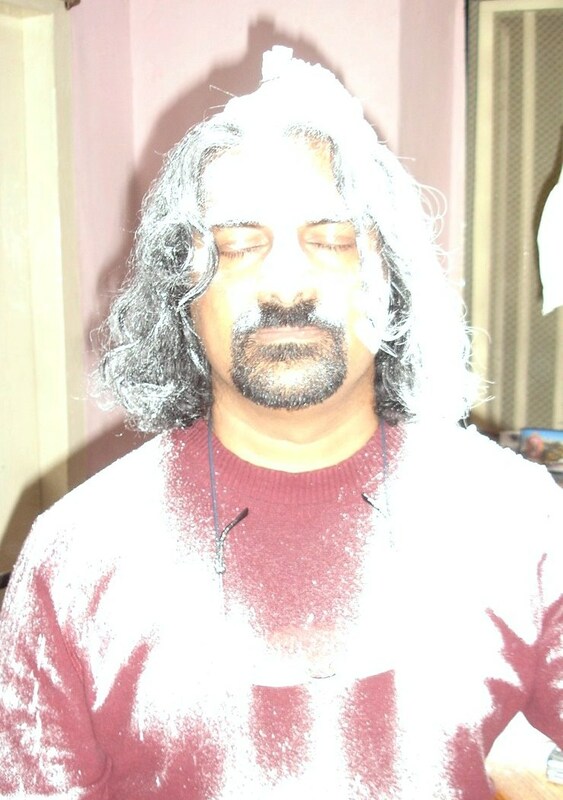 When you cross into the realms of true bhakti, there will only be romance in our heart. We can only see God in every being and we romance the God in every being. Every object is God. We will love every object as representation of God. This is the truth too. The romance of Lord Krishna knows no boundaries. He is a complete avatar. Several beings took birth as birds and animals to be close to the Lord, when He existed in His body. Many beings take birth to be close to the Lord even now. The story of a devotee in the body of an elephant is quite an example. (Many devotees offer cows, rabbits, birds and elephants to Lord Krishna at Guruvayoor, as a demonstration of their devotion.) 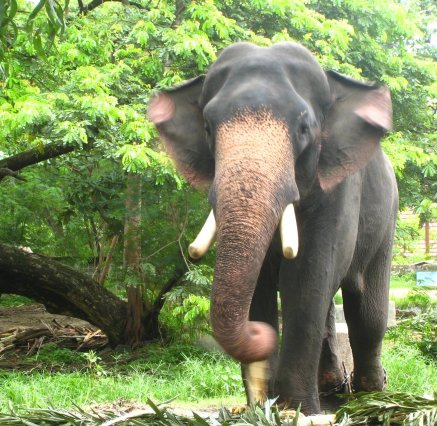 The name of this famous elephant was Guruvayoor Kesavan. 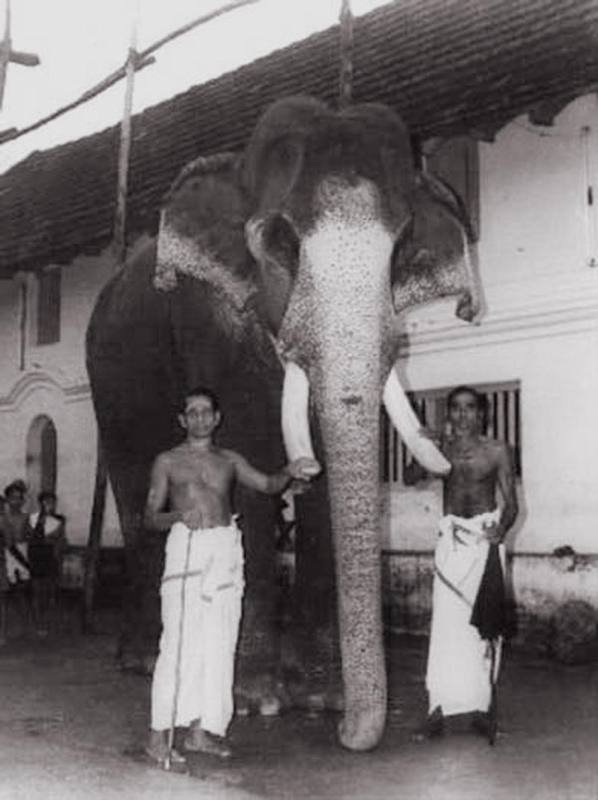 He was donated to Guruvayoor temple by the Nilambur Royal Family in 1916. He served the Lord in the temple for all processions, festivals and ceremonies until his death in 1976. Even his death was on the auspicious day of Guruvayoor Ekadasi, the day when devotees observe fasting, (refrain from eating food) for the sake of attaining Moksha or Liberation from the birth – death cycle. The elephant also observed fast that day and turning towards the temple, looking at the temple, with his trunk raised as if saluting the Lord, he left his body and attained his Moksha. It does not matter if it is human being or an elephant. Love conquers all. 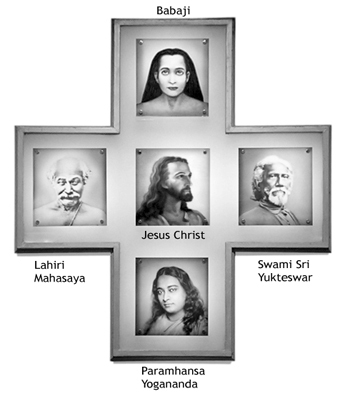 Eternal love unmistakably flows from the Lord to all beings, who are receptive to it. Love is eternal. Love is Divine, when it is unconditional.